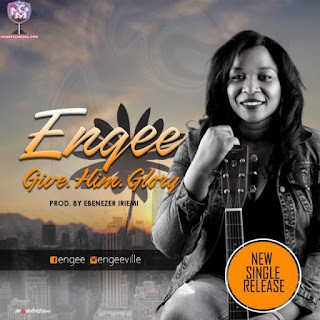 Engee - Give Him Glory (Mp3 Audio Music Free Download) - Produced by Northern Nigeria based Producer Ebenezer Iremi, Engee serves Us this powerful new single titled “Give Him Glory”. The inspiration of Give Him Glory dropped into my heart after sharing the grace in an evening service. The Holy Spirit dropped the wordings into my spirit whilst the strings of the keyboard was played. As I got home, i shared the experience with my husband who by the Spirit expanded on the lyrics. To God be the glory. Amen! – She Shared. Engee is a music minister who is passionate about showing and leading many in fellowship through Spirit filled worship. Many have experienced the tangible presence of the Holy Spirit during worship sessions which has led them to having an intimate relationship with the Holy Spirit in worship. An Engineer by training, worship leader, song writer and performer. She is happily married with kids.